Why NOT Tease a King Cobra? Revealing Video! 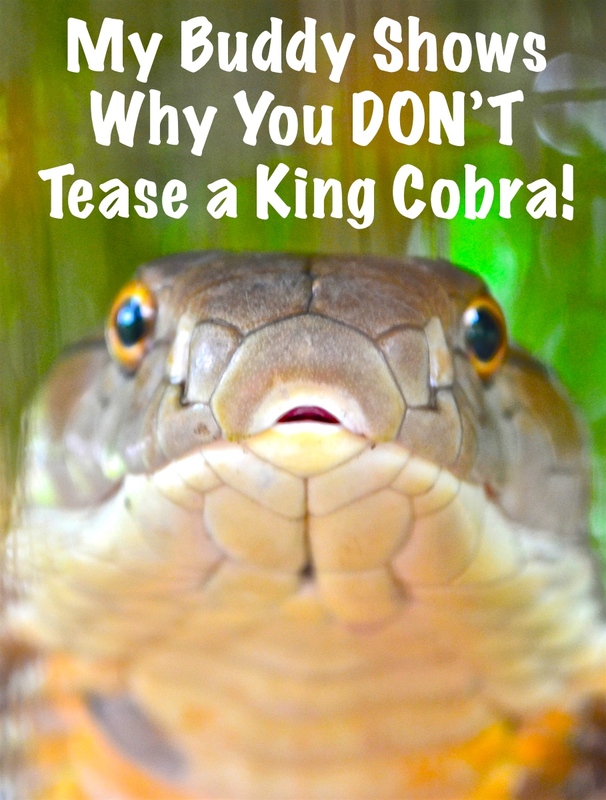 As if most of us needed any instruction about teasing king cobras or any venomous snake – right? My buddy Jackie, well-versed in the ways of king cobra behavior because he has worked with them for over six years gets a LITTLE SURPRISE TODAY! I stopped over for a visit, and as usual he tells me about the new snakes they have. I help them with information about what kind of snake it is, how venomous it is, how dangerous it is supposed to be, what they eat, when they’re active… etc. He tells me they have a new King Cobra. YEAH! I love new kings, especially in the 2-3 meter range because they are so exciting. New snakes don’t conform to the norms and sometimes you get something odd as far as behavior. That was certainly the case today! But, first – get our free photo ebook – Common Venomous and Non-Venomous Snakes of Thailand HERE!